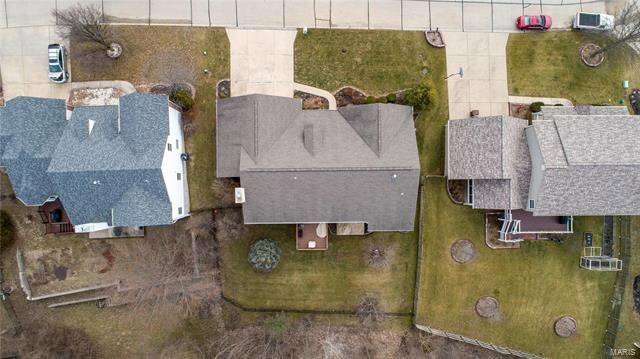 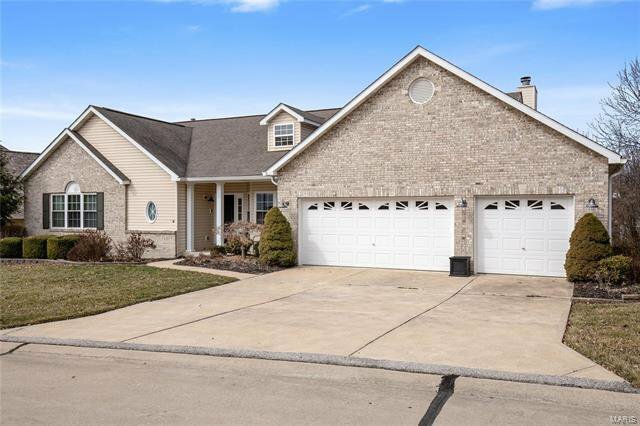 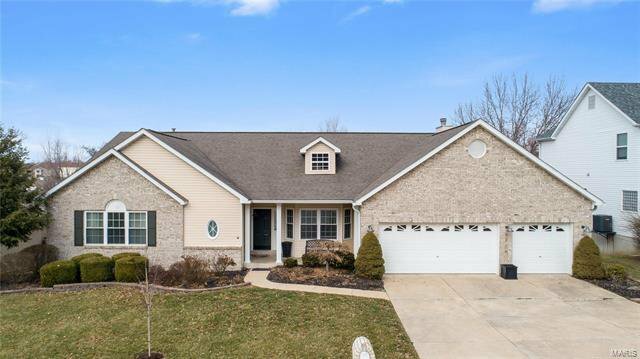 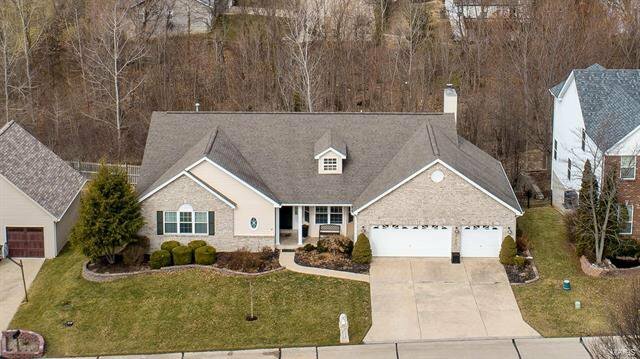 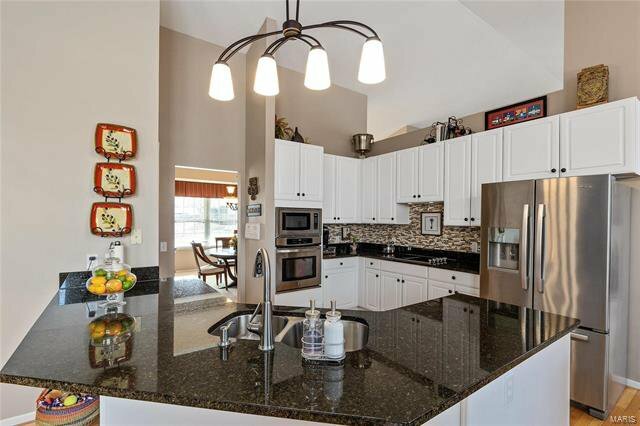 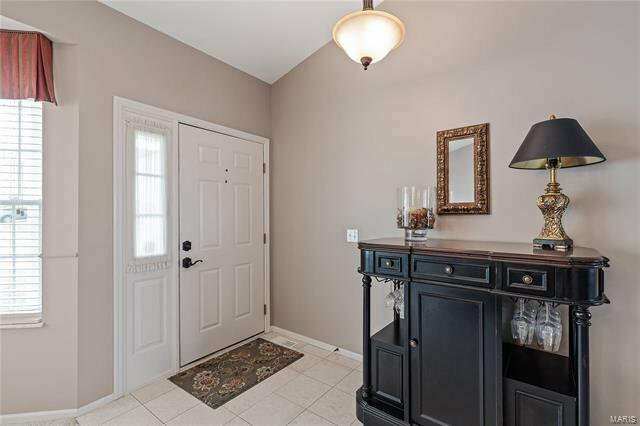 Fantastic ranch with open floor plan has the features & upgrades for today’s buyer. 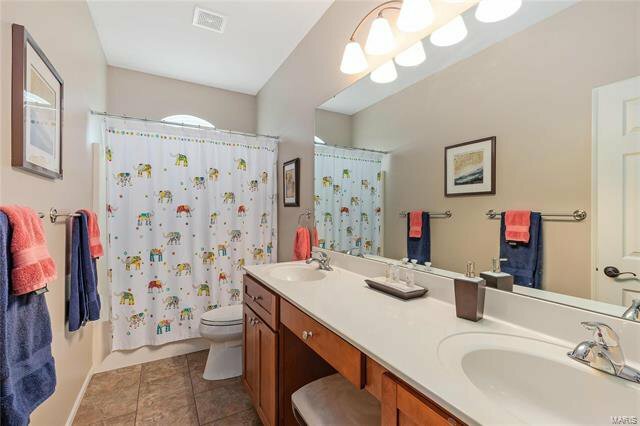 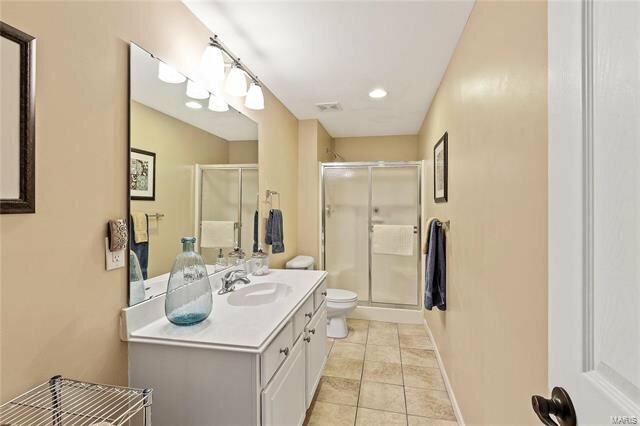 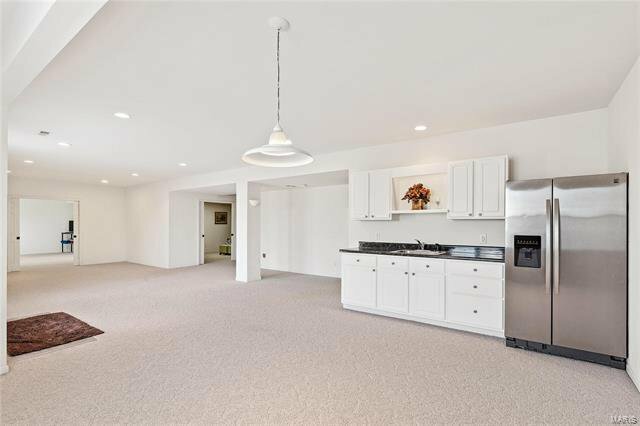 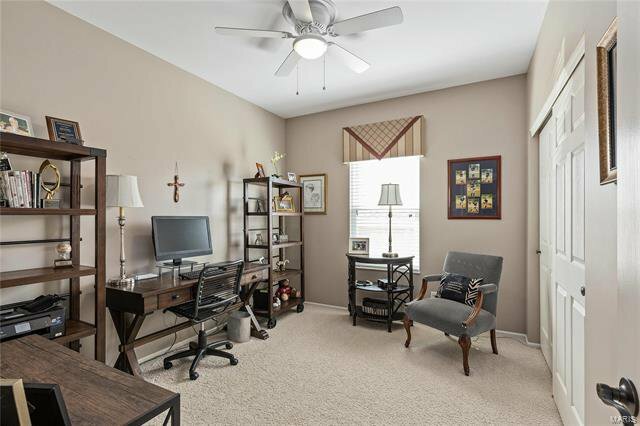 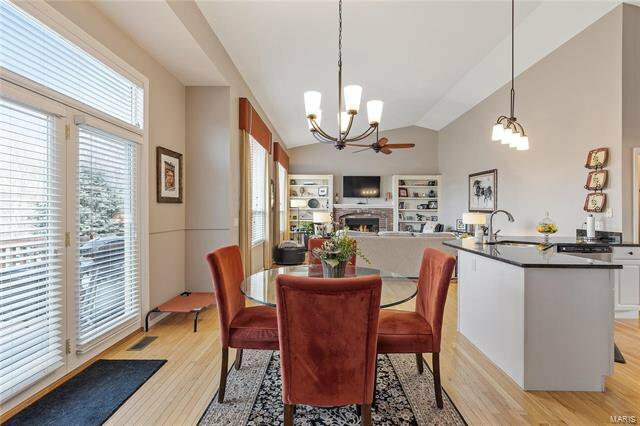 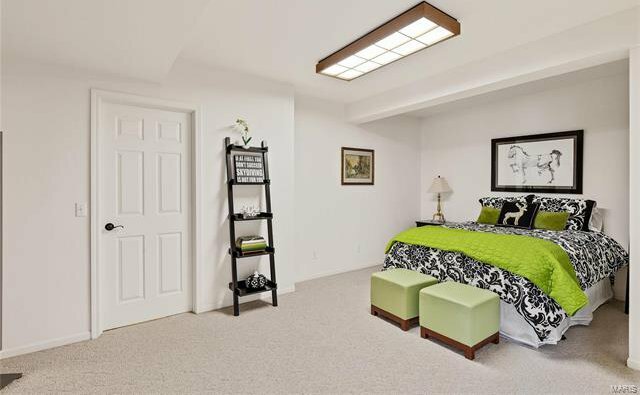 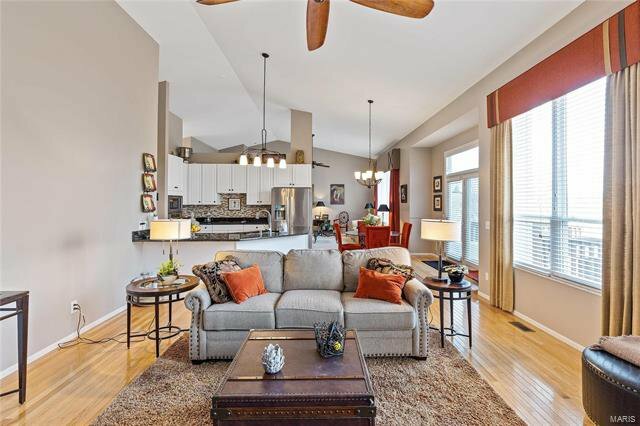 This former display features vaulted ceilings in the main area & 9ft ceilings in the bedrooms. 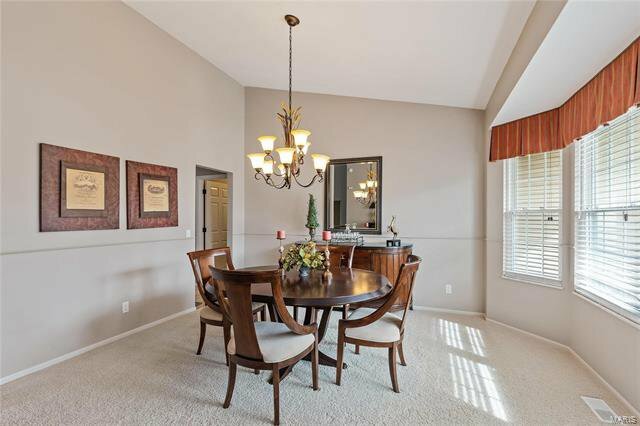 A formal dining rm features a bay window and vaulted ceiling. 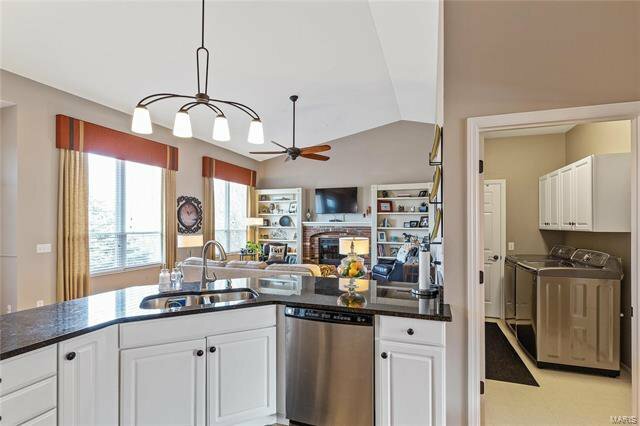 The spacious kitchen has granite counters, a large breakfast bar, stainless appliances, a walk-in pantry & a glass tile backsplash. 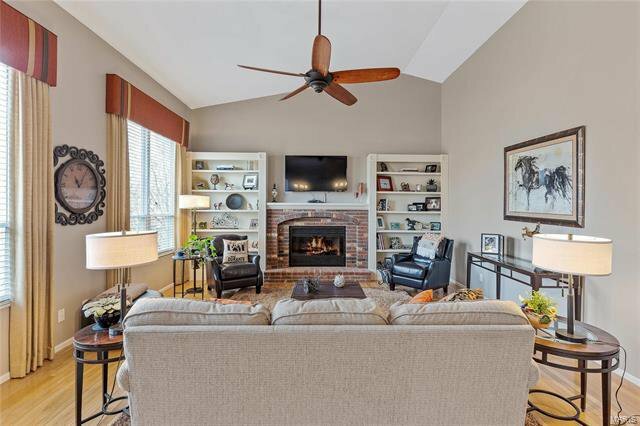 It opens to a breakfast rm & hearth room with a gas fireplace & built-in bookshelves. 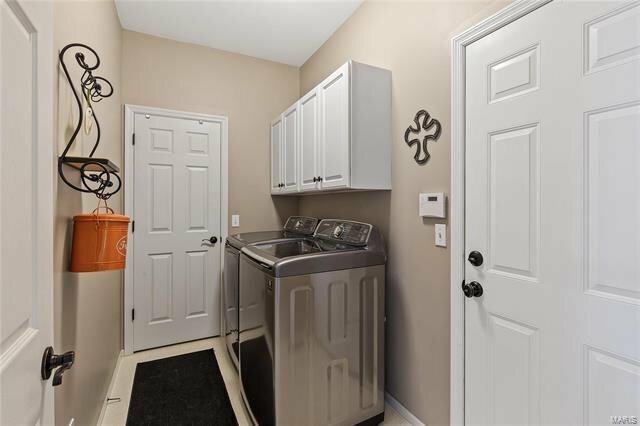 The laundry rm is located off the kitchen. 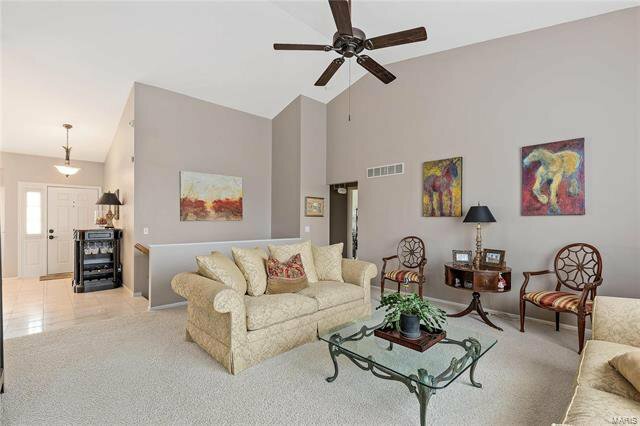 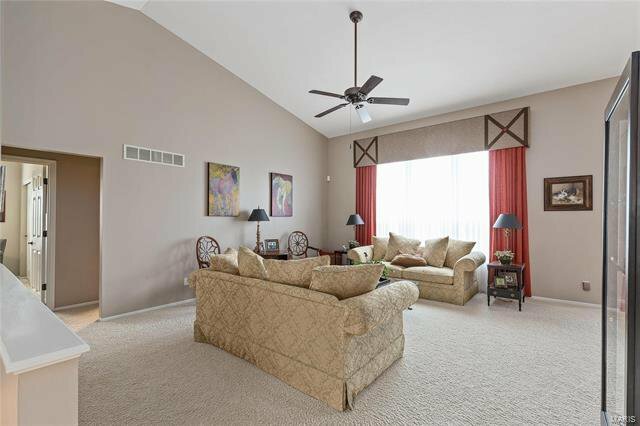 A vaulted great rm w/ ceiling fan has tall windows w/ lovely views. 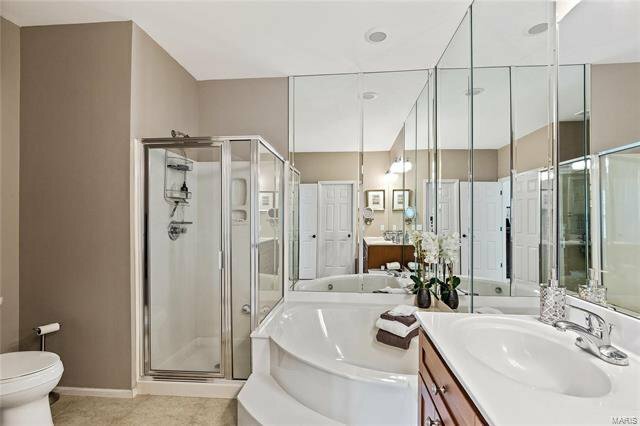 The private master features a deluxe bath & walk-in closet. 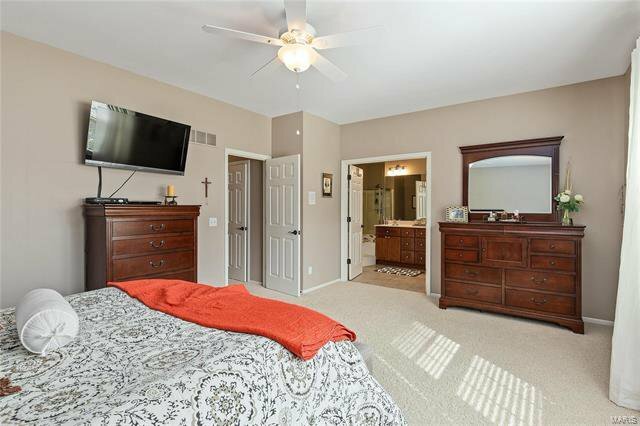 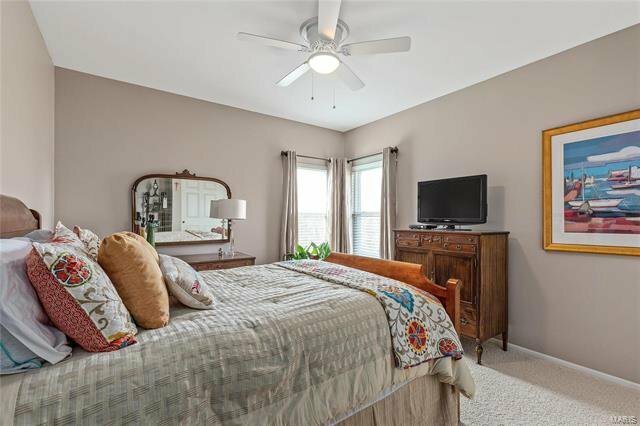 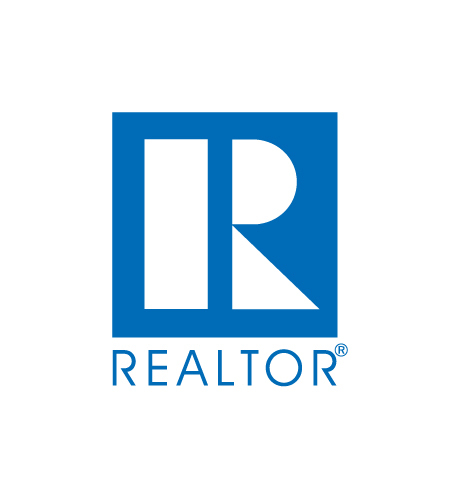 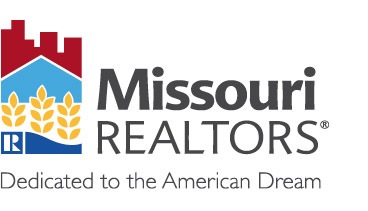 2 add’l bedrooms & full bath are on the mn level. 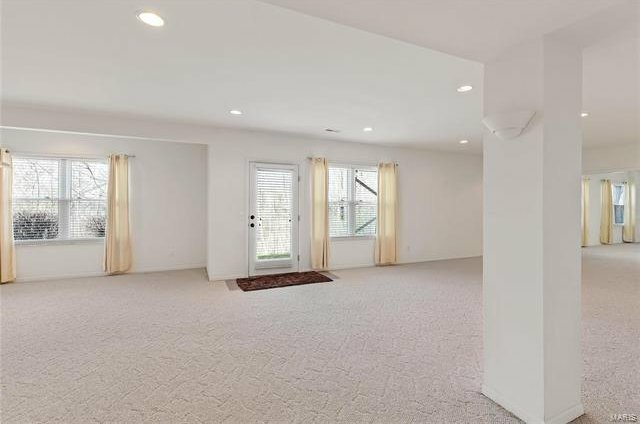 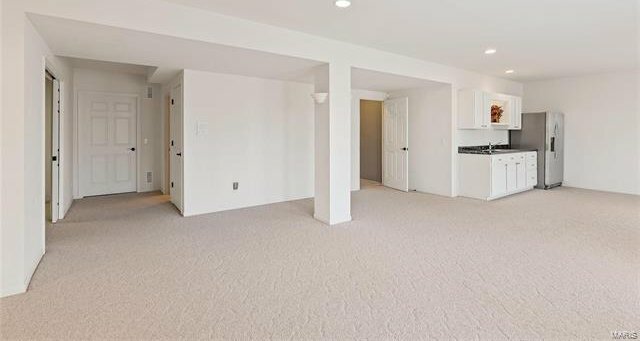 An open stairwell leads to the finished l/l which has a rec room with kitchenette/bar. 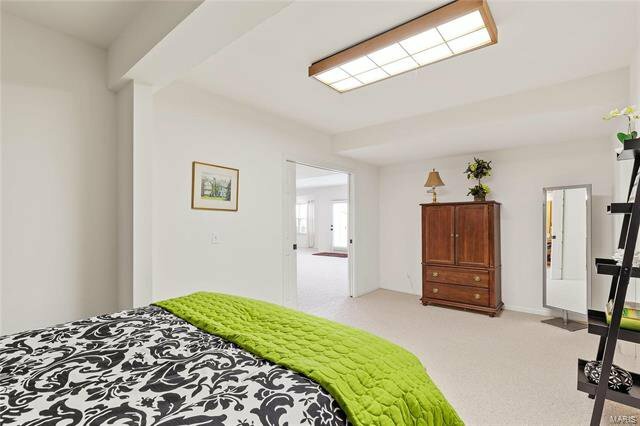 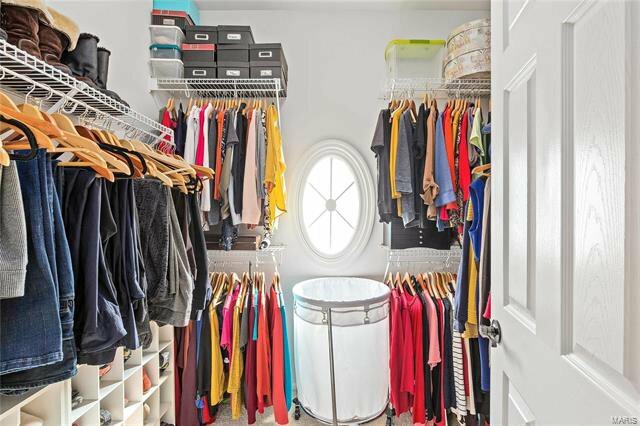 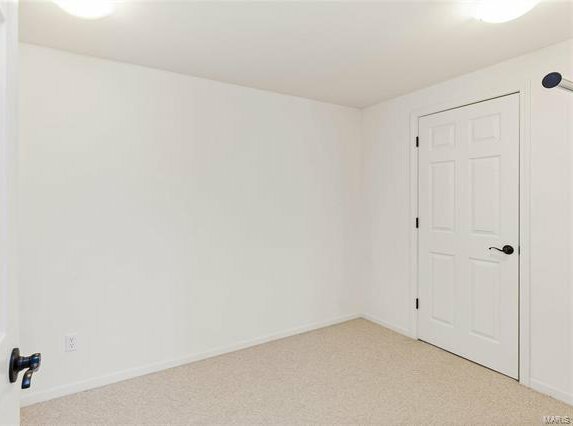 A bedroom w/ walk-in closet, office & full bath are also located on L/L. 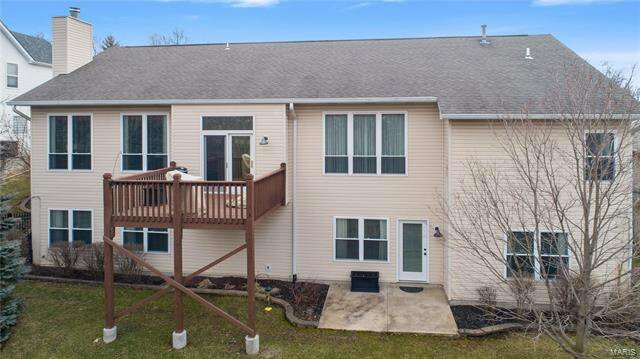 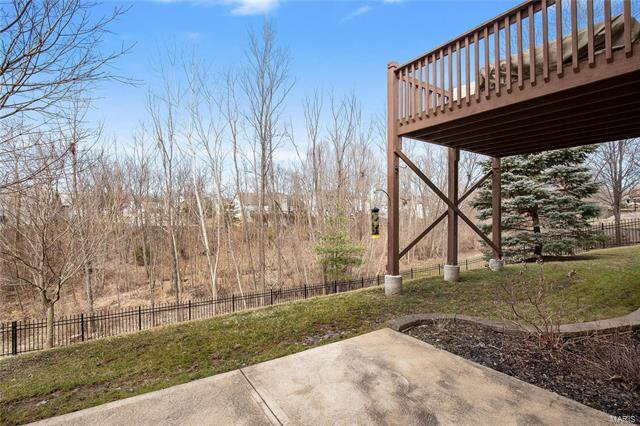 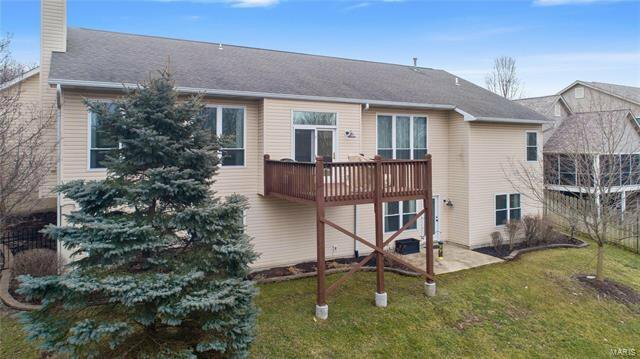 A patio, deck & fenced yard overlook the lovely woods. 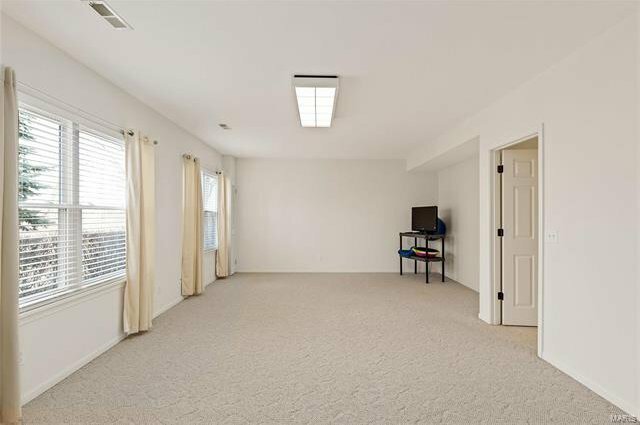 Some updates include; new paint on 1rst floor, new ceiling fans & lighting, new door hardware & blinds.